Men are an integral part of the world we live in and we wouldn't have patriarchy without them. They are our friends, neighbors, bosses and lovers. Join us for this special event where we finally open the ELU to those who identify as male! Each ticket bought will be for a woman-identifying person plus their male-identifying guest. Men will not have to pay to participate (unless you convince them to) but they will be responsible for bringing a bottle of wine or snack for the group. Male-identifying persons will be denied entry unless invited by a woman participant. This will be an opportunity for men to join in on the conversation of our experiences through a feminist lens. It will be an opportunity to have a controlled space where we share our experiences and have an honest and vulnerable exchange of ideas. 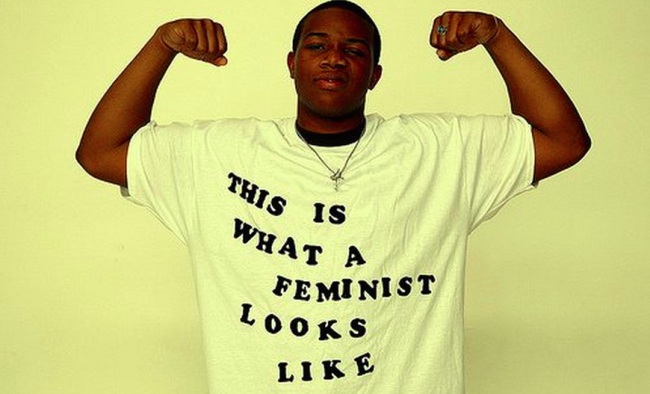 What does being male and feminist look like? What is toxic masculinity and how can we identify/rectify it? How have men been there for you? How have men let you down? If you could say one thing to men as a group, what would you want to ask of/tell them? What can we all do to even the playing field and how does that look different for men/women identifying people? As always there will be wine and snacks (provided by the men) as well as a good time. We've spread this discussion out between 2 evenings since space is limited and the events will sell out. I want to make sure everyone has a chance to be heard!